Kat's 9 Lives: Kee Wah Bakery : Smells Like Fresh Baked Goodies! 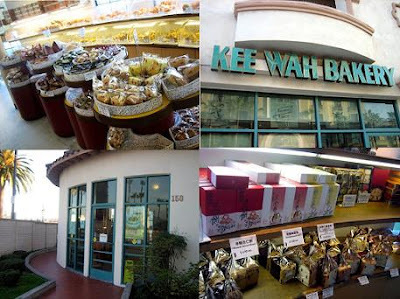 Kee Wah Bakery is a big chain of bakeries in San Gabriel/Monterey Park. I usually go to the one Valley, but I know there is another one on Atlantic and more. It always smells so nice in there with fresh baked goods. They are pretty popular and delicious. The one in San Gabriel Square is tucked away at the corner and the entrance is a little hidden away. They only accept cash, so be sure to stock up. I really like their Egg Tarts. They had three different kinds, so I had to try them all. There was the Original, Portuguese, and the Crispy Egg Tart. They were all very good and had a different texture in custard and flakiness of crust. Word to the wise, eat them while they are hot/warm because they taste much better fresh. If you wait until the next day, be sure to put them in the oven to toast a little bit and let the crust cool off so you can regain some of the flakiness. Their hot pastries were always good and I decided to try the B.B.Q Pork Pastry this time. It was delicious! Moist where it needs to be and the crust was perfectly flaky! I didn't think it would be that tasty but I was surprised by the sweet and sumptuous flavor of the b.b.q pork that was only enhanced by the wondrous crust. I also got the Twin Hot Dog Buns that were always a safe choice. The hot dogs are enclosed by a flavorful and chewy bread. All in all I like their baked goods a lot because their dough is delectable. I do think that pastries nowadays are getting more and more expensive. An egg tart runs for $1.20 and up, but they are cheaper than the bakeries in Irvine since San Gabriel cost less overall. The food in San Gabriel is generally much more flavorful and more reasonable price than Irvine. If only it wasn't so far away from where I live. Sob sob sob! 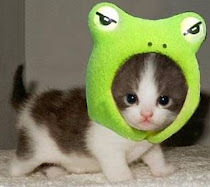 hey - i like kee wah too. it's cantonese!